Our Songs in DetailWhat's this mean?Pending: Already submitted and awaiting revision to re-enter either Playtest or Peer Review. Playtest: Submitted to the Rock Band Creator's site for suggestions and improvement. Peer Review: Promoted as confident to ship for the community's final approval. Approved: Available for sale in the Rock Band Network Store! Showing results 251 - 275 of 291 songs found. Walls All Time Low Nothing Personal Alternative Alternative Hopeless Records, Inc. Note: All expiration times and Peer Review percentages are not guaranteed to be accurate. Check creators.rockband.com for the official and most current information. 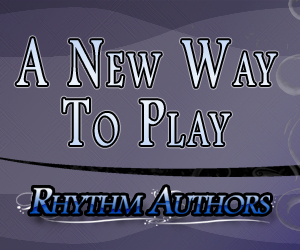 Rhythm Authors LLC is not affiliated with, or endorsed by, Harmonix Music Systems Inc.